Hello and welcome! 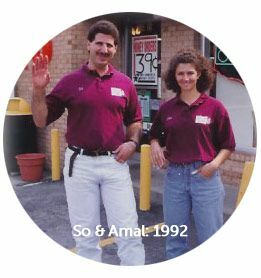 As the proud owners of South Side 6 for 25 years my wife, Amal, and I would like to cordially invite you and your family to South Side 6 and the city of Bowling Green, Ohio. Since the day we reopened South Side 6 we have prided ourselves on providing the people of Bowling Green a warm, welcoming and friendly party store. 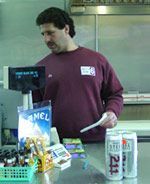 We are well aware that you can buy your chips, cigarettes and beer at a variety of places around Bowling Green. However, we try to be different than the other corporate stores with our commitment to the customer, sincere thankfulness, and our variety of party supplies we hope you will make South Side 6 your one-stop shop for all of your party needs. Everyday Amal and I strive to provide a welcoming environment in our store. We greet every person with a smile, a friendly ‘hello’ and a ‘thank you’. We never forget to express our thanks to our customers because we truly appreciate your business; after all it is you the customer that has made us so successful. We work hard to provide fast, friendly service to ensure you make a return visit because we are a family-oriented business and understand your busy schedule. 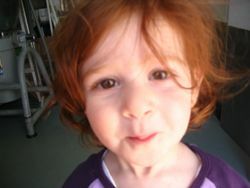 In fact, Amal and I share our business with our children: Mohammed, Omar, and Zainah. We invite you to bring your family in the next time you visit South Side 6. 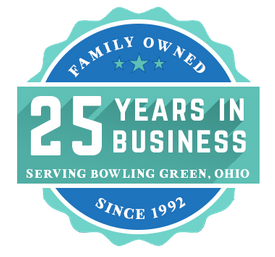 We truly enjoy living and doing business both in the city of Bowling Green and with all of its residents. It’s a nice, quiet town, a place that we have been proud to serve since March 1992. Since that time, we’ve worked hard to spruce up South Side 6 with additional lighting and general cleaning to reflect a place where our customers are proud to shop. And we are expanding to meet the needs of our customers in Bowling Green who are hungry for something other than burgers and pizza. 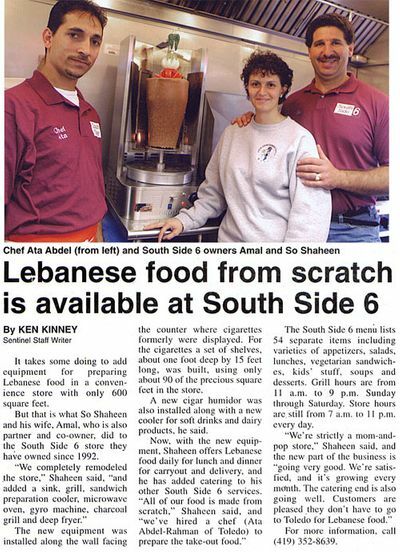 In August 2004, we added a Middle Eastern Foods and Pastry shop that features everything from hummous and gyros to the Route 25 Burger that can’t be beat. 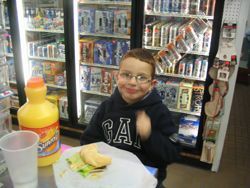 Your concerns and suggestions are very important to me so please stop by the store or call 419-352-8639. Thanks! 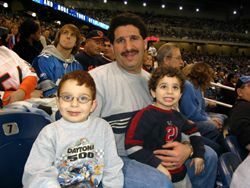 Dad, Mohammad and Omar at the Lions Game. 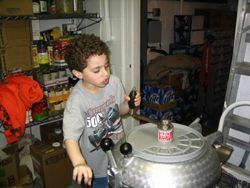 Omar helping grind the fresh hummas.